This species has been reclassified many times. It has spent much of its existence in Physignathus, but has also been placed in Lophura, Istiurus, Iguana (! ), Amphibolurus, and Istiurus. Perhaps it has settled down in Intellagama, but I wouldn't place any bets on that. 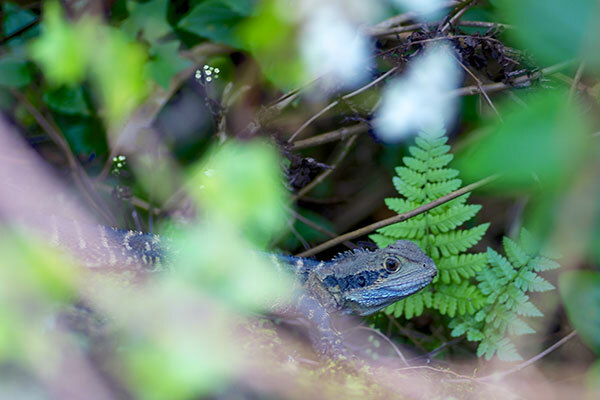 This young water dragon kept us entertained while we were waiting (in vain) for a glimpse of a platypus. 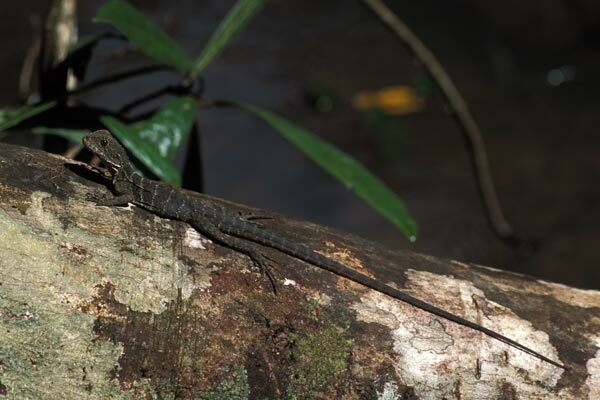 It would bask for awhile on a partially submerged branch, then dive into the water, grab some insect, and swim back to the branch for further basking. 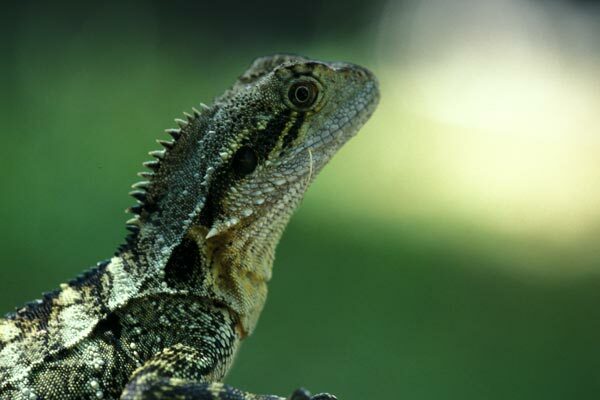 Eastern Water Dragons are very common up and down the east coast of Australia. 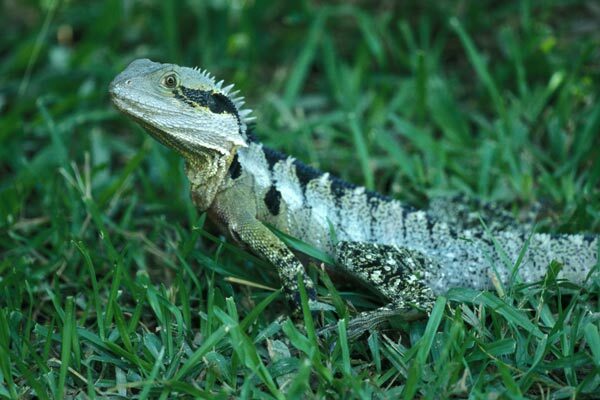 We saw a number of them living wild on the grounds of the Australia Zoo near Brisbane -- the zoo owned by TV's Steve Irwin, aka the Crocodile Hunter. These dragons are common in the greater Sydney area, but on this particular trip I wasn't in the right places to see many of them. In fact I saw only this one. It had been on the road, but ran off when it saw our car coming, pausing in the roadside vegetation just long enough for me to get this one picture.